Television has seen a marked jump in quality in recent years, bashing the age-old mindset of television playing second fiddle to the big screen. But not anymore. 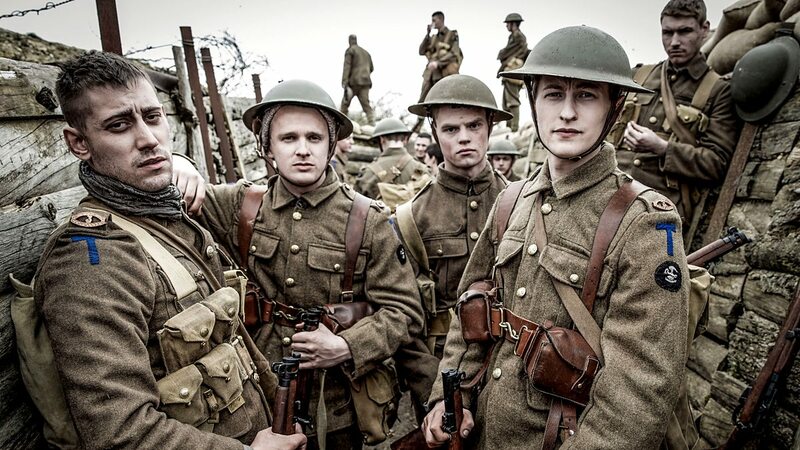 Now, television sees a level of production hitherto unseen before. 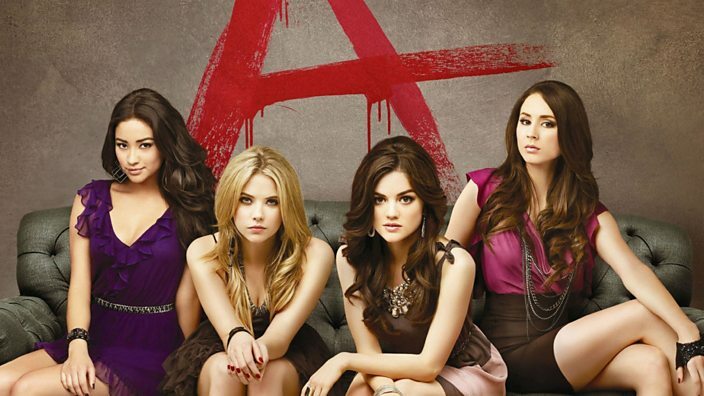 From rooted crime shows to epic fantasies riddled with magical creatures, television has it all. And perhaps no-show has influenced the modern viewer more than ‘Game of Thrones’ (GoT). Certainly the most famous fantasy show of all time, ‘GoT’ is a rollercoaster ride of action, intrigue, deception, love, and war. Based on George R.R. Martin’s magnum opus, the ‘A Song of Ice and Fire’ series, the show is a masterful and technically astonishing adaptation of the acclaimed books. ‘GoT’ has become an intrinsic part of pop culture, with its complex characters, its painstakingly detailed world building, and the ease with which it lends itself to the fandom culture. If you are looking for other places to satiate your fill of dragons and armies, love and deceit, look no further than these fantastic movies similar to Game of Thrones that are our recommendations. 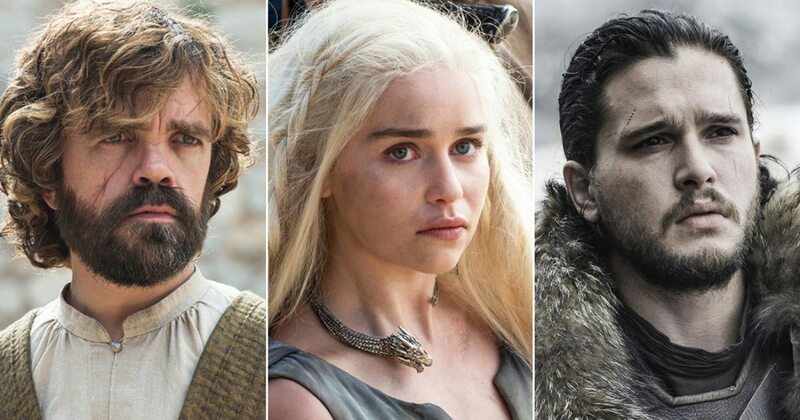 You can stream some of these Game of Thrones like films on Netflix, Hulu or Amazon Prime. Neil Gaiman is a master storyteller who seems to weave incredulous stories from his endless talent, and enriches the same with his thoroughly unique understanding of what constitutes fantasia. This 2007 film adaptation manages to carry over the same. It stars a delightful ensemble cast starring Claire Danes, Mark Strong, Robert de Niro, Ricky Gervais among many others. Led by Charlie Cox as Tristan, it is his quest to find a fallen star for his crush (Sienna Miller) from a magical kingdom beyond a hidden wall that leads him to uncover his own secret destiny. ‘Stardust’ is a fun watch, and one that may just remind ‘GoT’ fans of Jon Snow as they watch the slightly awkward but thoroughly determined Tristan. ‘GoT’ has given audiences some of the most cunning and unscrupulous characters in recent television history, and it is sheer joy to watch the conspiracies unfolding beautifully on-screen. In that vein, Patrice Chéreau’s ‘La Reine Margot’ fits the bill magnificently. 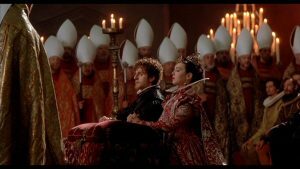 This French period film stars Isabelle Adjani, Daniel Auteuil, and the mesmerizing Virna Lisi as the devious Catherine de’ Medici. 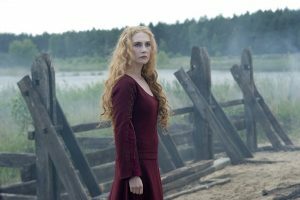 While the film’s sentimental parts go to its eponymous lead, it is her mother who is at the centre of all political intrigue and wields her considerable power with reckless abandon in her bloody quest to become the ruler of France. ‘GoT’ may have its Mad King in Aerys II Targaryen, but Catherine de’ Medici was very much the maddest of all mad queens. While ‘GoT’ is chiefly identified with overtones of violence, war, deception, and chaos, it is also liberally imbued with wit and humour along the way, especially in the biting repartee between Tyrion Lannister and well, anyone else really. Brian Helgeland’s ‘A Knight’s Tale’ is quite light in tone, but it captures the humorous spirit of the medieval age in a delightful manner. This hilariously anachronistic comedy has Heath Ledger as a young squire William Thatcher whose adventures as a not-so-noble knight lead him to Geoffrey Chaucer (Paul Bettany) and competing in various tournaments with hilarious and heartwarming results. 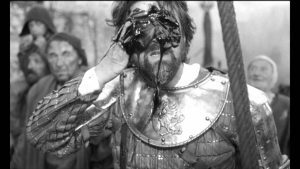 Russian maestro Aleksei German has made it a habit of doing the unconventional in his brand of cinema. He casts actors in roles not typical to them, he portrays complex times of political and social strife in a muted, almost gloomy manner. His films have a tendency to overwhelm our senses through their sheer vividness and capacity for emotion. ‘Hard to Be a God’ is very much in the same style. This science fiction film with a twist hurls the viewers into another universe in medieval times, where all those who are unfit for power run the kingdom. Leonid Yarmolnik stars as Don Rumata, the one man who recognises the drudgery of those citizens who live in squalor in the kingdom of Arkanar. However, he’s forbidden to do anything about this gross injustice, and his story that showcases the macabre condition of the people bereft of any basic amenities is quite reminiscent of ‘GoT’ at its peak. Director Neil Marshall shouldn’t be too unfamiliar to sharp-eyed ‘GoT’ fans. He has directed two acclaimed episodes in two different seasons- ‘Blackwater’ (Season 2) and ‘The Watchers on the Wall’ (Season 4). It should be no surprise therefore, that he has a penchant for orchestrating complex battle scenes and bringing out personal equations amidst such chaos. 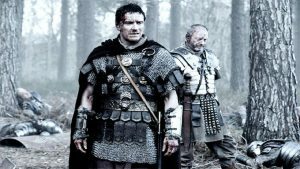 ‘Centurion’ does much the same with aplomb, dealing with the sudden disappearance of the Ninth Legion of the Roman Empire. Viewers clamouring for gore and violence should have more than their fill in this Michael Fassbender- starrer. There have many legends of star-crossed lovers heard and told across the world for many generations. Alongside Romeo and Juliet, Layla and Majnun, and many other couples, Tristan and Isolde’s story has been told and retold for generations. This film, produced by Ridley Scott, directed by Kevin Reynolds, and starring James Franco and Sophia Myles as the eponymous pair, captures their unbridled passion in the face of political and familial adversity. ‘GoT’ fans would find an instant connection with Rhaegar Targaryen’s tragic relationship with Lyanna Stark, and love this well-made film all the more. Just as ‘GoT”s renown in fantasy television, the Matter of Britain is prevalent across all manners of fantasy. 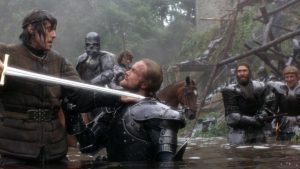 John Boorman’s adaptation of Thomas Malory’s celebrated work, ‘Le Morte d’Arthur’ is among the best cinematic portrayals of Arthurian legend on-screen. ‘Excalibur’ is a refreshing take on such a well-traversed legend. It offers an intimate and magnanimous take on a vast and sprawling mythos. The cast is led by the mesmerising Helen Mirren as the enchantress Morgana Le Fay, Patrick Stewart as King Leondegrance, Nigel Terry as King Arthur, and a young Liam Neeson as Sir Gawain. The film offers everything a ‘GoT’ admirer would expect; from prophecies to bloodcurdling battles and secretive romances. Boorman makes the myth’s transition to cinema a thoroughly capable and entertaining one. It is only natural to chart the origins of the unnatural in film, and the modern depictions of fantasy, from ‘The Chronicles of Narnia’, ‘Harry Potter’, ‘Lord of the Rings’ to of course, ‘GoT’, owe a significant debt to Fritz Lang’s silent duology ‘Die Nibelungen’. The plot portrays simplistic fantasy tropes to amazing effect, considering this was made in the 1920s. Part 1 was subtitled Siegfried with Paul Richter in the title role. 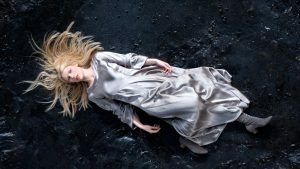 The film follows the swordsmith on his eventful journey towards winning the hand of the princess Kriemhild in marriage, and the revelations that follow after. Part 2 was subtitled Kriemhild’s Rache (Revenge) and as the name suggests, follows her quest to avenge the tragedy committed upon Siegfried by her brother, King Gunther and his advisor, Hagen of Tronje. 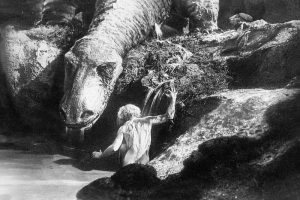 ‘Die Nibelungen’ borrowed considerably from the Italian silent epics during the 1910s, but it was the first mainstream example of fantasy storytelling on a grand scale whose technique has been instrumental in establishing the modern norms of the fantasy genre. Nikolaj Arcel paints a terse and exciting picture that reeks of glorious fantasy and high stakes in this cinematic rendition of Stephen King’s tour de force. 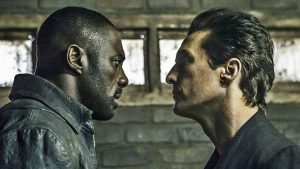 Idris Elba and Matthew McConaughey are star turns as Roland the Gunslinger and Walter, the Man in Black, locked in an eternal quest for the eponymous Dark Tower that supports all realities. Elba and McConaughey share a cracking chemistry that is reminiscent of many ‘GoT’ rivalries, from Cersei Lannister to Margaery Tyrell to Davos Seaworth and Melisandre. 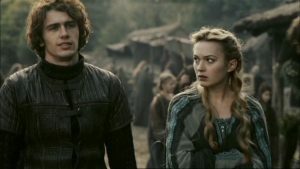 On top of that, Roland’s relationship with his apprentice Jake (Tom Taylor) evokes many master-student dynamics in the TV show, such as that of Podrick Payne and Brienne of Tarth. This German-English medieval horror shares much with ‘GoT’ right from the outset. For starters, it stars Sean Bean as Ulric, a soldier who leads his crazed troops to a village that claims they have immunity to the eponymous disease. It also stars Carice van Houten as the mysterious Langiva, who is crucial in affecting said mission of the troops. What ‘Black Death’ also has in common with ‘GoT’ is the masterful representation of bloodshed and chaos emanating from a milieu bereft of faith and prosperity. The stark religious fanaticism of the opposing factions evokes the portrayals of the Faith Militant and the High Septon in the television show perfectly well. This Ridley Scott-directed extravaganza has perhaps the most in common with the USP of ‘GoT’. This historical drama stars Orlando Bloom and Eva Green, along with a very familiar Iain Glen who of course, also stars as Ser Jorah Mormont on ‘GoT’. Bloom portrays an anguished blacksmith Balian who journeys to Jerusalem during the Crusades. Following great personal tragedy, Balian’s rise to the centre of religious and political intrigue provides a wide lens to the chaotic and deceitful goings-on in the Holy Land in which Green’s Queen Sibylla plays a major part. 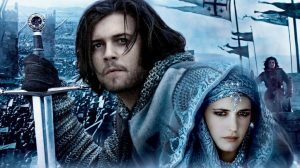 ‘Kingdom of Heaven’ presents the obstinate religious beliefs of the opposing Muslims and Christians and how the clash leads to inevitable and elaborate war. This aspect is highly prominent in the approach of Stannis Baratheon to the Iron Throne, and the dangerous prevalence of the Old Gods and the New in the complex world of ‘GoT’. When George R.R. Martin himself considers this to be the fifth-best fantasy film of all time, with the best dragon ever on film, we know this film is on a whole other level. 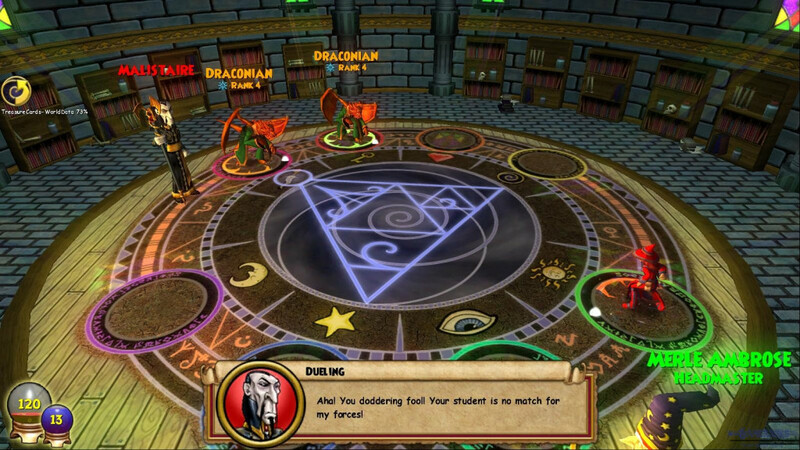 ‘Dragonslayer’ was acclaimed screenwriter Matthew Robbins’ directorial debut. 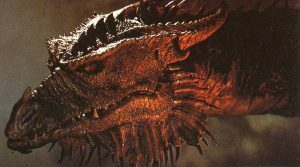 It delivered a dark tale about a plucky sorcerer’s apprentice Galen (Peter MacNicol) and his fight against the awe-inspiring dragon, the beautifully named Vermithrax Pejorative. ‘Dragonslayer’ has become a cult classic following its release, and remains an underrated fantasy film. Its special effects are lauded to this day, and its deft handling of its characters, especially the gender-bending Valerian (Caitlin Clarke), is highly mature for its times. 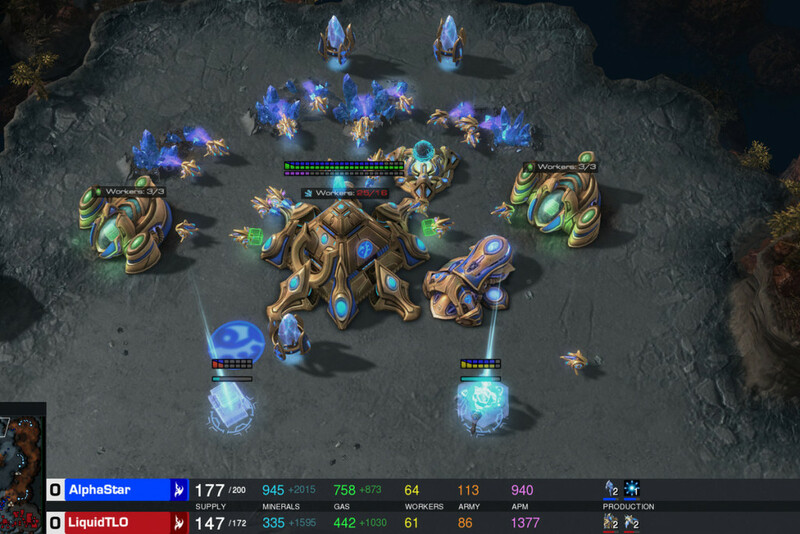 ‘Dragonslayer’ is a veritable feast for both the eyes and the mind.